Prime Minister Narendra Modi on Saturday continued to hard-sell the BJP government's decision to demonetise high-denomination currency notes and lambasted the critics. 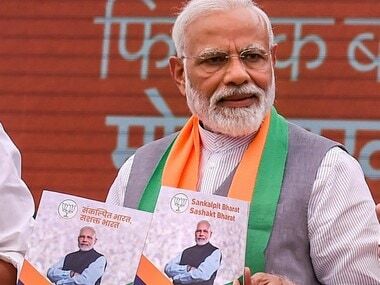 Addressing approximately 2 lakh BJP party workers during a rally in Moradabad in Uttar Pradesh, Modi owned the audience with his impassioned pleas, asking the junta to "have patience" with the government over note-bandhi. "There will be hardships for now, but things are already improving. I salute citizens of the country," he said, adding it was a queue that would put an end to all other queues in the country. Training his guns at detractors and the media, who are criticising the government, the prime minister called himself a "fakir" (hermit) and asked, "Have I committed any crime by attacking corruption and black money?" Modi's rhetoric on Saturday, however was not much different from the previous BJP rallies or gatherings, where the prime minister spoke at length about the demonetisation drive and tried to drill the fact in his audience's head that the move to scrap Rs 500 and Rs 1,000 has been taken for the well-being of the country. A cashless economy is a better economy and that's what we (Indians) should be aiming at, was the crux of Modi's zealous plea to those who gathered at the rally. "You have a phone, and your phone is your wallet. You don't need to withdraw money from ATMs. You can buy what you want from the money in your account through your phones," Modi said. Turning the table on his critics for slamming the demonetisation move, the prime minister pitched for a developed India, where using cash will soon be passé. Taking a dig at detractors, Modi said that as a country, we should shut up all of them who call us (Indians) "technologically-challenged". "They should remember that the same Indians elected a new government in place by pushing a button," he said. The Centre, and especially the prime minister, has always sold the move to demonetise as a moral crusade rather than a war of democracy. By appealing to people's morality and conscience, the prime minister's speeches have always been about "the right thing to do" and those who are complaining are the ones in the wrong. Modi's plea that India needs to adopt a cashless economy if it wants to develop, was sold similarly. Modi referred to a WhatsApp video showing a beggar using a swipe machine to persuade people to shift to digital monetary transactions, insisting Indians do not take long to accept new things if they know the intention behind an action is right. 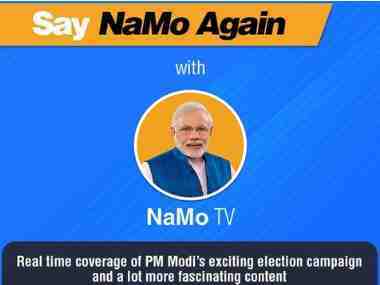 "I don't know how far it is true but there is a video going viral on WhatsApp of a beggar being told by a man that though he wanted to help, he does not have change," Modi told BJP's Parivartan Rally. "The beggar asks him not to worry and takes out a swipe machine and asks for his debit card," the Prime Minister said, as the crowd burst into peals of laughter. 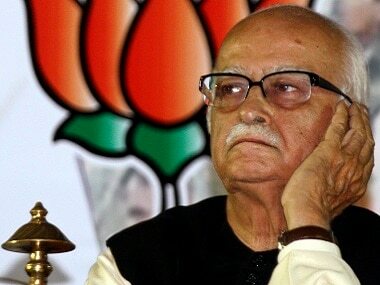 He said Indians do not take long to accept new things if they are told the intentions are right. And this is not new for the prime minister either. 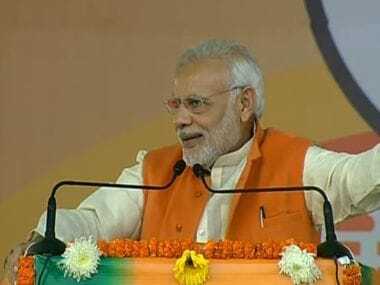 On 27 November, during another election rally in Uttar Pradesh's Kushinagar, Modi urged all Indians to get familiar with the concept of cashless transactions. The same day, during his radio programme Mann Ki Baat, he said, "Learn how this digital economy works. Learn the different ways you can use your bank accounts and internet banking. Learn how to effectively use the apps of various banks on your phones. Learn how to run your business without cash. Learn the different ways you can use your bank accounts and internet banking. Learn how to effectively use the apps of various banks on your phones. Learn how to run your business without cash. Learn about card payments and other electronic modes of payment. Look at the malls and see how they function. A cashless economy is secure, it is clean. You have a leadership role to play in taking India towards an increasingly digital economy." Modi and his Cabinet ministers have now launched a major social media effort to promote cashless transactions, which include e-banking (or banking over computers or mobile phones), debit and credit cards, card-swipe or point-of-sales (PoS) machines and digital wallets. Interesting to note here is that while India's internet users surpass the America's, smartphone ownership and internet penetration remain low. Also, as many as 68 percent of transactions in India are done in cash, according to a newspaper report, while other estimates say 90 percent of all transactions are in cash. The crowd, in turn, chanted pro-Modi slogans. The Moradabad rally was also an attempt to reach out to voters ahead of one of the most crucial political events to be held next year — the Uttar Pradesh Assembly elections. Modi said, "If one has to eradicate poverty from the country, it is essential to develop big states like UP, Bihar and Maharashtra." Moradabad rally was Modi's fourth in Uttar Pradesh since the BJP launched its campaign in the state. Earlier, Modi had addressed Parivartan rallies in Ghazipur, Agra and Kushinagar. "I have not fought from Uttar Pradesh only to become an MP, but also wanted to initiate the fight against poverty from this huge state," said Modi. The heightened rhetoric around demonetisation and urging people to take up e-banking apart, Modi also hit out on the Opposition, which is united against the note-ban drive. Interestingly, the major opposition parties in Uttar Pradesh — BSP, SP and Congress — have been stalling Parliament proceedings for the past two weeks and demanding answers from the prime minister and BJP over the decision to demonetise. Why is Modi not speaking in Parliament? Prime Minister has, so far, addressed four rallies in the poll-bound state and in all of them, the dominating subject has been demonetisation. Interestingly, all rallies have happened at a time when Parliament has turned into a war-zone, where the Opposition parties have demanded that Modi speak on the issue of note-ban. The prime minister has successfully evaded that situation as of now. Political observers had also argued that Modi will not address any of the Houses about the demonetisation drive until things on the ground are settled. Others have argued that the prime minister's silence in Parliament will only make the Opposition look stronger and their claims that Modi is scared of speaking in Parliament more noticeable. However, the skilled politician that Modi is, he knows better than to address Parliament on demonetisation. The prime minister has only spoken on demonetisation and its several benefits while addressing large gatherings or on radio addresses to the nation through Mann ki Baat. The Moradabad rally on Saturday was no exception.